That is, the shorter is the longitudinal arm for light transit, therefore shortened will be the transversal transit time in the longitudinal component by time dilation!! And in order, therefore, to maintain a universal constant speed of light in any light sphere in any direction by Einstein's special relativity physics proposition, longitudinal length contraction must be invoked! 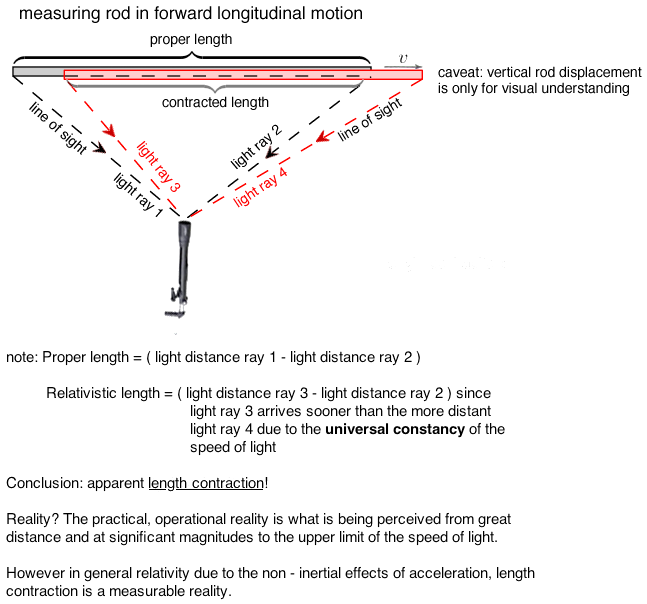 More simply, length contraction is imputed in order to maintain a universal constant speed of light when determining time dilation in both Einstein's Special and General Relativity Physics equations! And, hence, time dilation is inverse to Lorentz length contraction!